A newly formed lobby group does not buy the minister of public enterprise’s reputation as ‘Mr Clean’. 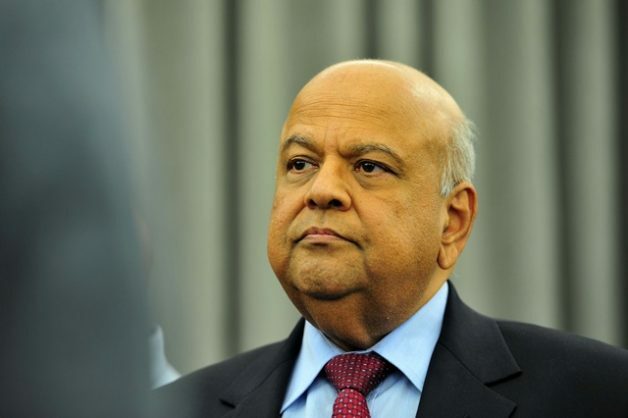 There’s a new anti-load shedding lobby group on the block, and they have announced that they will be laying criminal charges against Minister of Public Enterprises Pravin Gordhan. People Against Load Shedding (Pals) is spearheaded by the same people who brought you People Against Petrol and Paraffin Price Increase (Pappi), who mobilised South Africans to protest against fuel hikes last year. Pals will be sending National Convenor Visvin Reddy to lay criminal charges against the minister at the Chatsworth Police Station tomorrow (Thursday) at 10am. Reddy “believes there is sufficient legal grounds for the senior public prosecutor to accept the charges so that the case may be heard in a competent court of law,” according to a statement from Pals. “We are being fed a lie that Eskom is solely responsible for load shedding. This is a half-truth designed by ANC politicians to shift the blame away from its minister of public enterprises or the cabinet,” Reddy said. “Eskom is a state-owned enterprise and accounts to the minister through a board. The problems of Eskom did not happen overnight and the entity would have rang alarm bells years ago. “The failure by the minister to act on recommendations by the public utility has caused ordinary South Africans undue vexation and has cost the economy billions of rands. “Every South African family has had to endure the repercussions of load shedding, which includes loss of earnings, damage to appliances and consumables, job losses, and the closure of small and medium businesses. “It is estimated that the South African economy has lost R12 billion over three days of stage 4 load shedding. “The minister was cautioned that power stations were ageing and had reached the end of its life span. He failed to act on this and authorise proper maintenance to be carried out. “Today, as a result of his negligence and failure to act timeously, the power utility is forced to embark upon load shedding to mitigate against the possibility of a collapse of the national grid. According to Pals secretary general Rynel Govender, Pals is “a lobby group fighting community issues”, which “formed at the beginning of the year” as load shedding is the “burning issue facing South Africans right now”. Govender said that both as Pappi and Pals, he and the groups’ other leaders “focus on issues where the politicians assigned to do their jobs are not acting”. “We’ve gathered a lot of support. People are frustrated and want something to be done,” he added. According to Govender, Pravin’s reputation as “Mr Clean” is unfounded. “He’s had a hand in a lot of scandals,” he said, citing South African Airways (SAA) as an example.